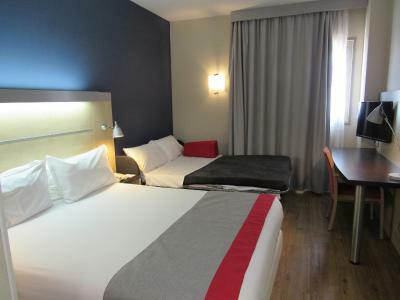 It is suitable for business trips, it is too close to Airport. It was very close to the Airport. We arrived in the late evening and just wanted a place to stay. Parking and breakfast were included. It was perfect for what we needed. The location was great to fly the next day very early. Location was great since we had an early flight out of Malaga airport. I liked the welcome, the breakfast was generally good though a bit crowded on one day. There was no tomato puree for the toast left. The toaster was difficult to work. 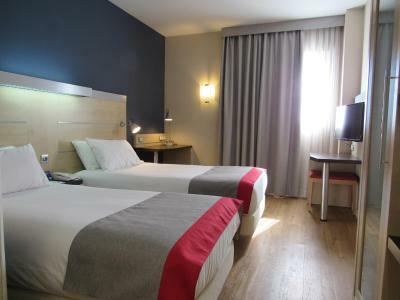 The room was very clean and the room staff were very helpful. There was a restaurant on site for dinner. This was great because there was no where to go without a taxi. 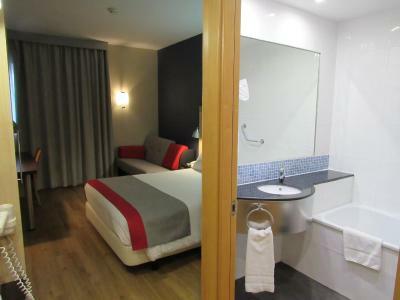 Rooms private and comfortable. Fit our need perfectly for an early flight next morning. Staff very accommodating! 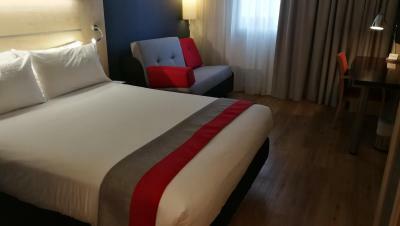 We had a comfortable sleep with our two kids, with a double bed and a sofa bed. Expected to be crammed in one bed, so we were pleasantly surprised. 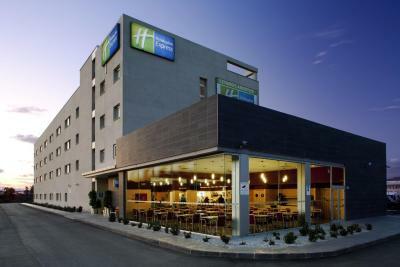 Holiday Inn Express Málaga Airport This rating is a reflection of how the property compares to the industry standard when it comes to price, facilities and services available. It's based on a self-evaluation by the property. Use this rating to help choose your stay! One of our top picks in Málaga.Holiday Inn Express Málaga is the closest hotel to Málaga International Airport. 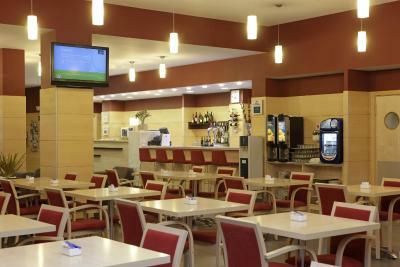 It offers free parking and modern rooms with satellite TV and free tea and coffee facilities. 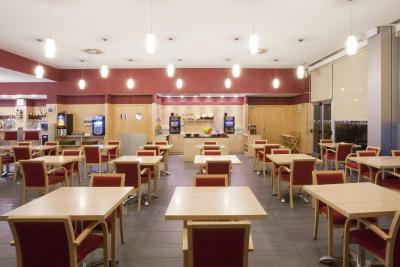 A free continental breakfast is included in rates at Holiday Inn Express Málaga. 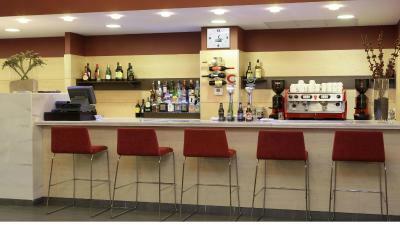 There is also a bar, open until 01:00. 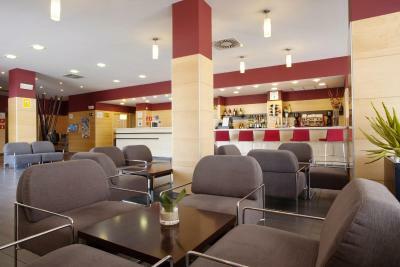 This functional hotel is located a 5-minute drive from the beaches of the Costa del Sol. Málaga city center, home to the Picasso Museum, is a 15-minute drive or a 10-minute train journey away. Málaga Convention Center is just 2.5 mi away. 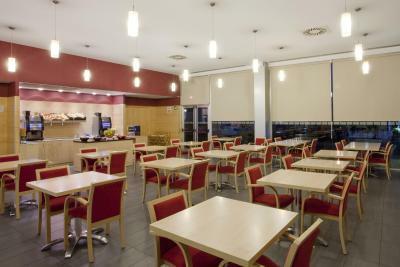 Each room at Holiday Inn Express Málaga is has heating and air conditioning. 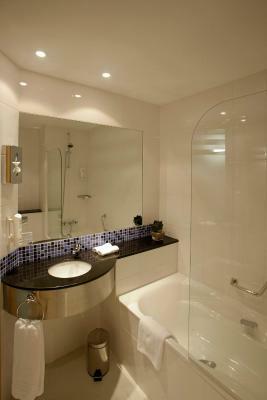 The bathroom includes a bath and a bidet. Churriana is a great choice for travelers interested in sunshine, warm weather and beaches. 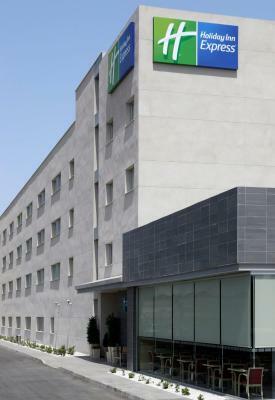 When would you like to stay at Holiday Inn Express Málaga Airport? Air-conditioned room with flat-screen satellite TV and work desk. There is a coffee maker and the private bathroom comes with a hairdryer and toiletries. 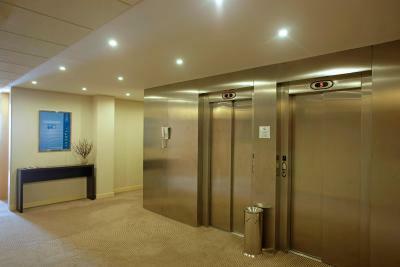 Air-conditioned room with flat-screen satellite TV, work desk and safe. 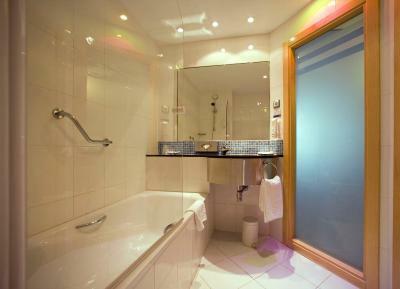 There is a coffee maker and the private bathroom comes with a hairdryer and toiletries. It has either one double or 2 single beds, as well as a sofa bed. 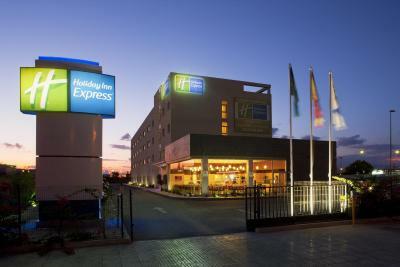 House Rules Holiday Inn Express Málaga Airport takes special requests – add in the next step! 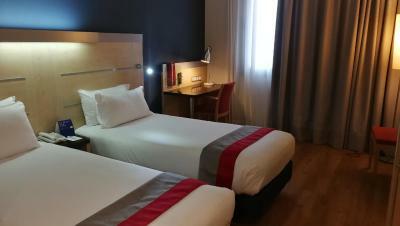 Euro 6000 Holiday Inn Express Málaga Airport accepts these cards and reserves the right to temporarily hold an amount prior to arrival. 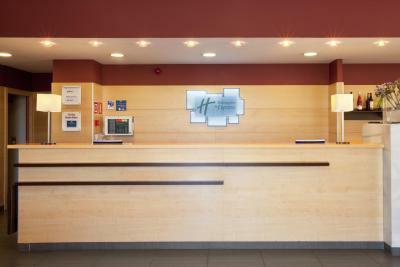 Holiday Inn Express Málaga Airport accepts these cards and reserves the right to temporarily hold an amount prior to arrival. 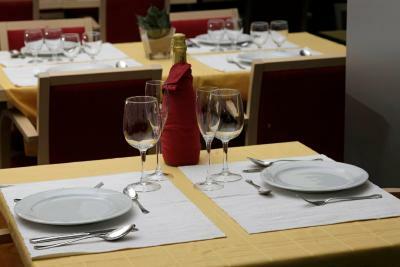 The hotel restaurant is open for breakfast from 7 am to 10 am, Monday to Friday, and 7:30 am to 10:30 am, Saturday and Sunday. The fact that there are no restaurants within walking distance from the hotel and the hotel restaurant was closed. Only Chinese and pizza takeaway were available. 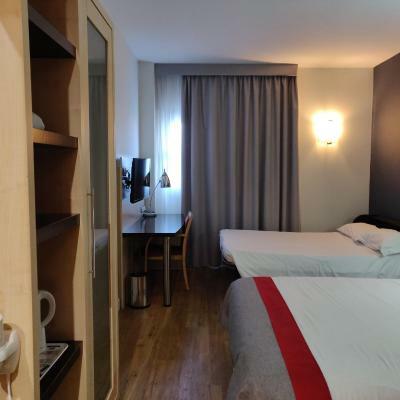 €125 euros per night for a very basic hotel room is a bit exorbitant. 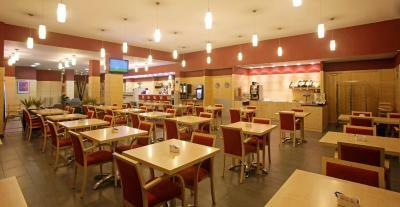 Proximity to airport, cleanliness and staff. No eating restaurants nearby. Hard to get to. Wifi was weak in the upper floors, particularly at night!! My room was without fridge! The location is very hard to find by car (especially in the dark). The choices for the Continental buffet breakfast were more than ample, croissants, cereal, yogurt, bread, cheeses, hams, fruits, coffee and tea. Lack of a shuttle bus service.. Some might find it noisey at breakfast time. 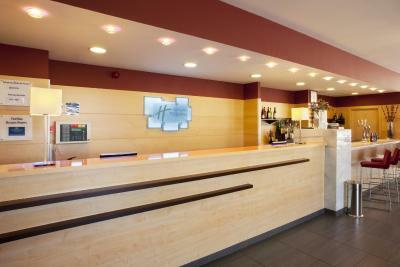 Reception very good. 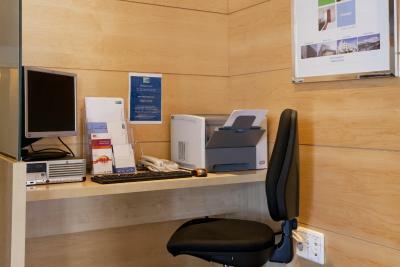 Easy to use facilities and good for a short stay......all the staff very helpful. Breakfast adequate and speedy........plenty of choice for a continental style buffet with excellent coffee.